How to fix “There might be a problem with the driver for the Ethernet adapter” error on Windows? Home »	Fix » How to fix “There might be a problem with the driver for the Ethernet adapter” error on Windows? Issue: How to fix “There might be a problem with the driver for the Ethernet adapter” error on Windows? All of a sudden, my PC started having an issue with the Internet connection. When I try to open the browser or perform any other task that requires an Internet connection, I get an error “There might be a problem with the driver for the Ethernet adapter.” I understand that the problem is Ethernet adapter, but I don’t know how I could fix that. Please help. 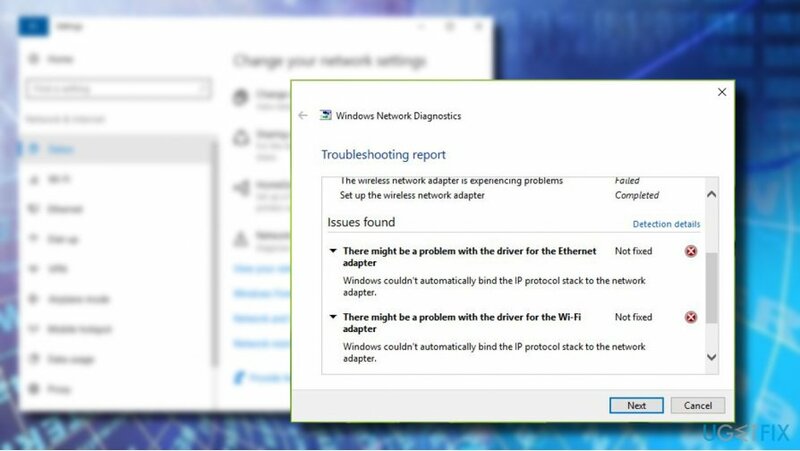 “There might be a problem with the driver for the Ethernet adapter” error is the issue that, in most cases, is associated with an Internet connection. However, as it has been reported by a few Windows users, the program can also occur under different instances, e.g. while setting up a VPN connection. However, Microsoft hasn't acknowledged the issue or released an official solution for the problem. The error does not provide any codes that could help to isolate the culprit. While the message itself seems to be indicating the problematic point – Ethernet adapter – people have already reported that updating or reinstalling network adapter drivers did not fix “There might be a problem with the driver for the Ethernet adapter” error. Finally, you should pay attention to recent Windows OS updates also caused some issues with drivers and programs, so it is possible that “There might be a problem with the driver for the Ethernet adapter” error is not so big of a deal, and your device has no serious issues. If you updated your device recently, check the Internet for the more recent update and install it because there is an opportunity that your device is completely fine, but the software flaw is causing issues. It’s also advisable to switch your accounts, for example, from the Local Account to the Microsoft Account or vice versa when reinstalling or updating drivers. If that did not help, we provided a couple of fixes that can help. Also, do not forget to scan the system using anti-malware tools to make sure that this error is not affected by additional programs on the system. 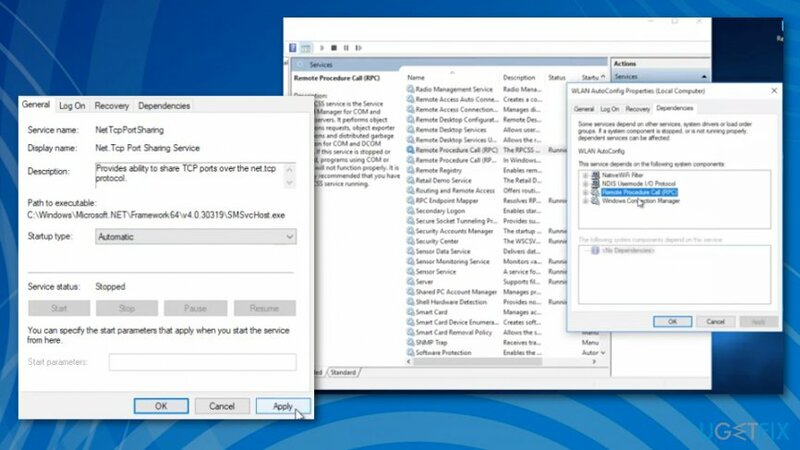 If your Windows device is updated and the OS installed is flaw-free the only thing you need to do before fixing the issue is scanning the system for malware damage with tools like Reimage. The system optimizer indicates any flaws, virus damage or existing programs on the device. You can remove possible threats and then follow our guidelines. Click on your Network Adapter and select Update Driver Software. Wait for the drivers to be updated and check if the error “There might be a problem with the driver for the Ethernet adapter” has been fixed. If it didn’t, try re-installing the driver. 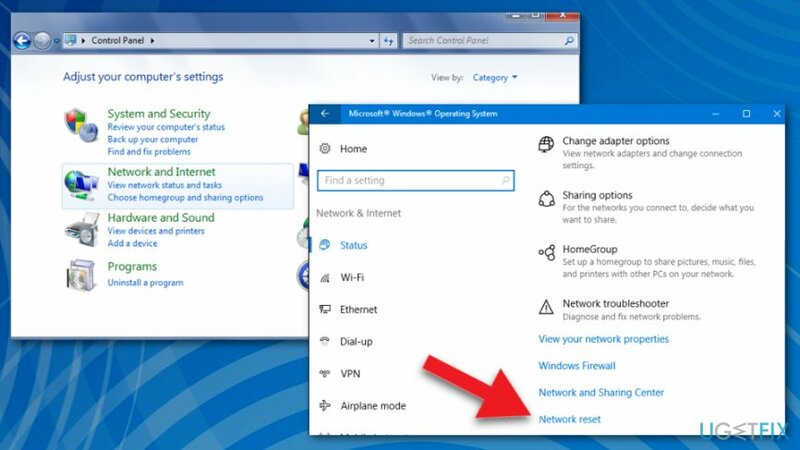 Re-open Device Manager and expand the Network Adapter section. 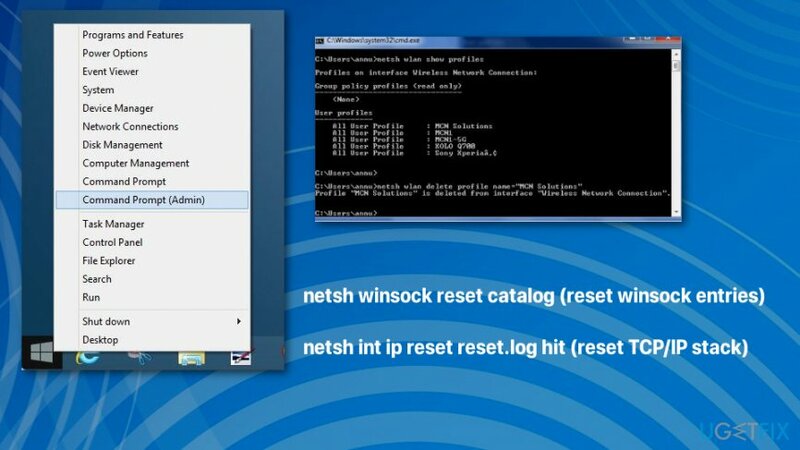 Click on your network adapter and select Uninstall. When the system reboots, re-open Device Manager and click Action. Select Scan for hardware changes. When the scan is completed, opt for the system to install missing drivers automatically. If the process fails, navigate to the driver’s manufacturer website and download the latest driver manually. Press Windows key + I and open Network & Internet. Open Status tab on the left pane and scroll down until you see a link Network Reset. If you agree with that, click Reset now button. 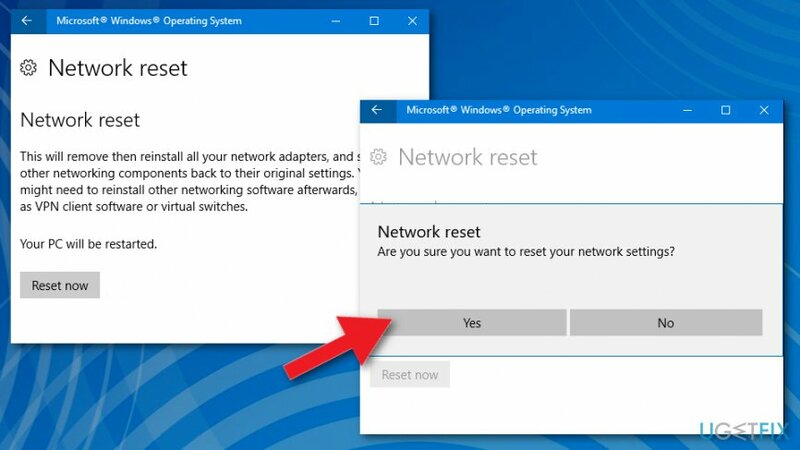 Click Yes on the confirmation window and wait for the Network reset to be completed. Find the WLAN AutoConfig service and click on the Dependencies tab. Check what services are listed under WLAN AutoConfig service and make sure that the startup type of them all is Automatic. If they are not, make sure to set their Startup type to Automatic. ^ The discussion about problem with the internet adapter. Reddit. Online community forum. ^ Tom Warren. Microsoft pulls Windows 10 October 2018 update after reports of documents being deleted. Theverge. Technology news and media network. ^ Danny Palmer. What is malware?. ZDNet. Technology news, analysis and reviews.